Fuel Safe’s Dirt Series Modified fuel cells have been engineered to win! Designed in conjunction with Victory Circle Chassis and Billy Moyer Racing, these fuel cells provide racers with the ultimate combination of safety, performance, and affordability. Featuring our FIA-FT3 compliant high strength Race Safe bladder, housed in a 20 gauge steel container with a black powder coated finish that conforms to all major sanctioning body’s rules book. A lightweight aluminum fill plate with a threaded aluminum fill cap provides excellent roll over protection and creates a low profile design that allows racers to adjust the location of the cell in the chassis for peak performance. 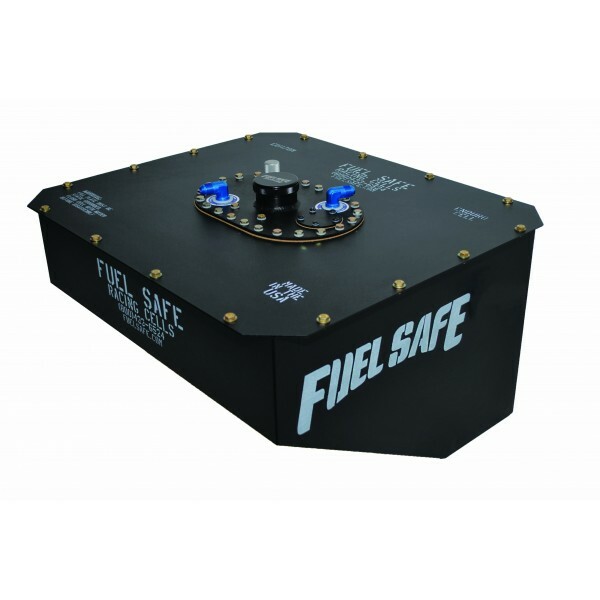 The forward bias sump design ensures the fuel load is carried low and forward in the chassis and that fuel is always available under acceleration. Available in 15, 17, 22, and 28 gallon configurations. • Powder coated (black) 20 gauge steel container with Aluminum upgrade option. DIRT MODIFIED COMPLETE FUEL CELLS- MEETS FIA-FT3 SPEC. 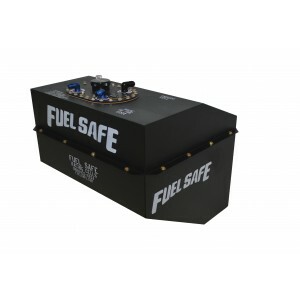 DST115 15 gal Race Safe®Cell,Steel can w/SF6x10 Top outlet& Foam 20.25" x 20" x 6" x 14"
DST117 17 gal Race Safe®Cell,Steel can w/SF6x10 Top outlet& Foam 23.5" x 20" x 6" x 14"
DST122 22 gal Race Safe®Cell,Steel can w/SF6x10 Top outlet& Foam 20.25" x 20" x 12" x 14"
DST128 28 gal Race Safe®Cell,Steel can w/SF6x10 Top outlet& Foam 23.5" x 20" x 12" x 16"